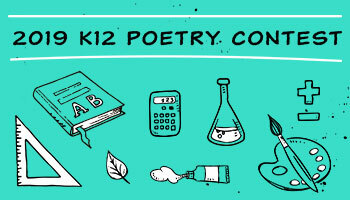 Maine Virtual Academy uses curriculum and services provided by K12. Learning can happen at home, on the road, or wherever an Internet connection can be found. While attendance, teacher interaction, and daily lessons are conducted online, our lessons use physical materials and offline tools as well. For high school, MEVA uses the K12 high school program. Whether targeting a four-year university, a local community college, or an immediate career, MEVA students will be prepared to maximize their post-school success. At Maine Virtual Academy, all students will interact with one or more certified teachers (depending on the grade level) and communicate regularly with their teachers through e-mail, telephone, and online meetings. 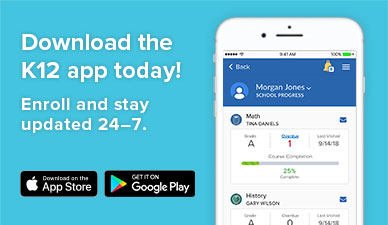 In fact, all middle school students will have weekly direct instruction in all courses while all high school students will have weekly direct instruction in all core courses. Each eligible MEVA family receives boxes of materials, including a wide array of textbooks, DVDs, science lab supplies, and other hands-on resources. These materials complement the interactive online elements of our program, so students receive instruction using the best method for each subject. Depending on eligibility and financial need, families may also be able to receive a loaner computer (upon request). MEVA also provides extensive support for both you and your child—a collaboration between teachers, counselors, school community, and you. In grades 7–8, you serve as a "Learning Coach," working closely with the student team to help facilitate your child's progress and working to modify the pace and schedule as needed. At the high school level students work at a collective pace with their classmates , overseen by their teacher, so your role shifts to one of support and encouragement. Each teacher is state certified and trained in his or her specific subject area. There will also be monthly events and outings, so the entire school community can keep in close contact. 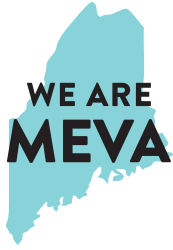 As an online public school, MEVA provides the structure, administrative support, oversight, accountability, and state testing required of all public schools.